#Vikings DE Brian Robison is probable with an illness. 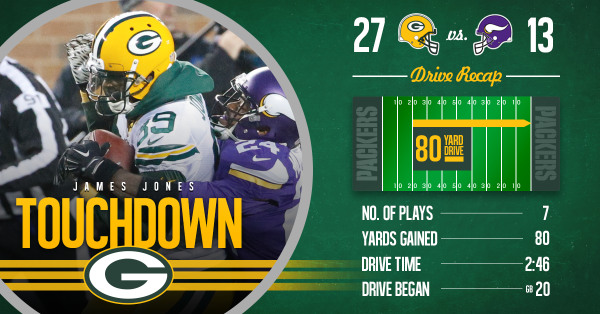 Rodgers to Jones, 27 yards! "WHAT HAPPENED TO AARON RODGERS?!" Why the heck is there a Packers team feed here? Isn't this a Vikings site???? Flip pass Rodgers to Jones is good for 2. Aaron Rodgers extends the play and connects for a touchdown, then gets a 2-point conversion. Too early to call that the nail in the coffin? The GB TD and 2-point conversion gives them a 27-13 lead. Cordarrelle Patterson just drew a 15-yard penalty for headbutting the kicker. Nice work, bud. 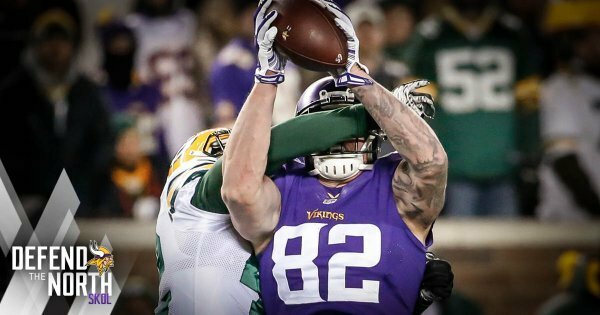 Rhett Ellison takes the @teddyb_h2o pass and puts the #Vikings in GB territory. So what are people saying on Twitter about Patterson right now?
. @Jay_wright4 and the #Vikings offense pick up another 3rd down conversion. There's the real nail in the coffin, I'll bet. 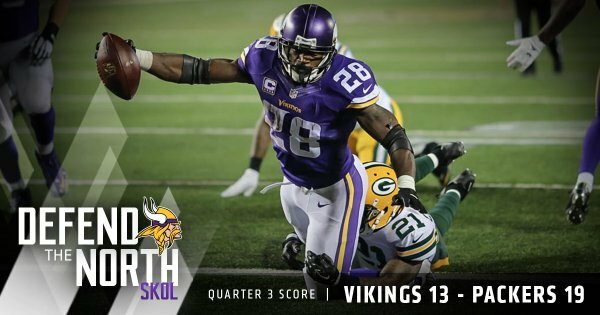 Peterson puts the ball on the ground and the Packers recover. Peterson fumbles on his 13th carry of the day, poked out from behind by Burnett. #Packers ball at GB 21. The least shocking fumble of the season, right there. GB takes over after the fumble. Peterson's six fumbles this season are his most in a season since he had seven in 2009. Datone Jones with sack No. 6! #Vikings ' six sacks allowed most since Teddy Bridgewater was taken down seven times in Denver. Sad to hear about the passing of Charlie Boone. Listened to him as a kid all the time on 'CCO. Radio legend.